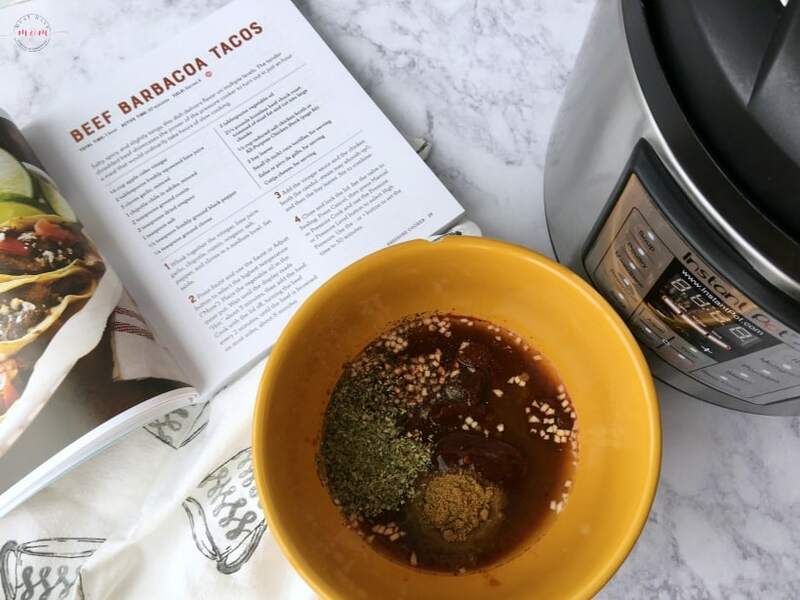 *Our sponsor Workman Publishing introduced us to an exciting new Instant Pot cookbook where we found this amazing Instant Pot Beef Barbacoa Tacos recipe! 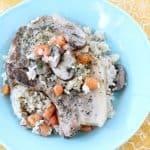 Have you joined the Instant Pot craze like I have? 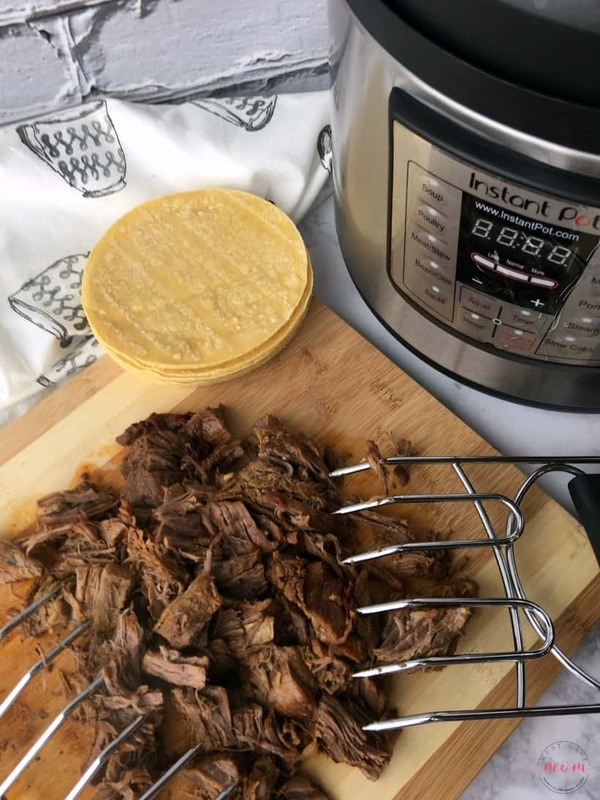 These Instant Pot Beef Barbacoa Tacos are OUT OF THIS WORLD AMAZING and this recipe came out of one of the BEST new cookbooks for learning to use your Instant Pot to it’s fullest potential! 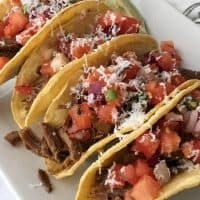 I am a HUGE fan of authentic Mexican tacos and Taco Tuesday is a real event here at our house EVERY week. My kids look forward to it each week. I’ve had some amazing steak tacos, beef tacos, and even chicken tacos, but I have NEVER made beef barbacoa tacos. 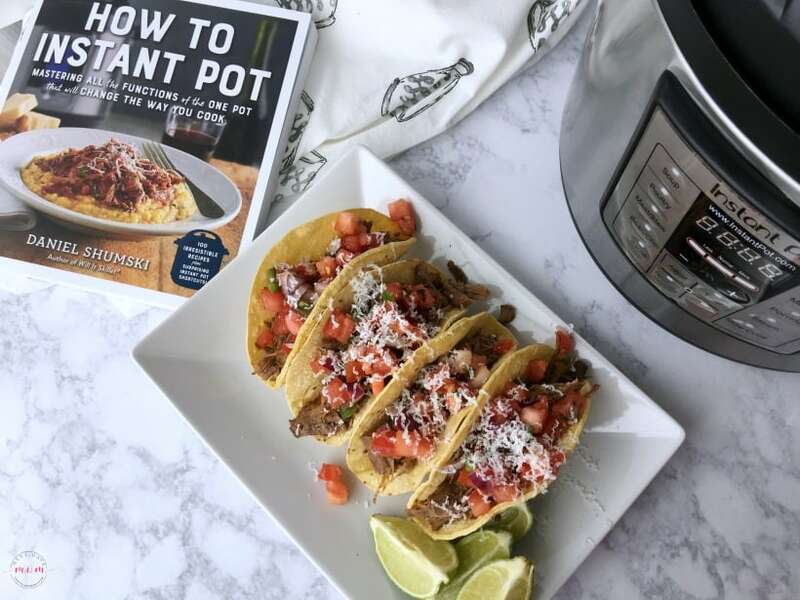 The name sounds a bit intimidating, but the How To Instant Pot cookbook couldn’t have made this recipe any easier. I was quite surprised at how simple it was and this has become a new staple recipe in our house! I am the real deal when it comes to loving your Instant Pot. I love mine so much so that I have TWO of them! That said, I didn’t realize how many of the functions I was missing out on until I read this amazing cookbook, How To Instant Pot by Daniel Shumski. This is the only cookbook organized by function and it has definitely helped demystify all those buttons on my Instant Pot! Inside you’ll find over 100 Instant Pot recipes, many I’ve never attempted before (can you say yogurt?!). From cooking perfect risotto in six minutes, no stirring required, to five kinds of yogurt, to creating one-hour killer chili and soups from scratch, using dried beans, you’ll find a little bit of everything in this book. What I love about this cookbook is that the directions break it down and tell you step by step how to operate the buttons. Instead of just telling me to saute it and then cook for 30 minutes on high pressure, it tells my exactly which buttons to push and in what order. It’d be amazing for beginners, but even as an avid user I found this to be a must-have cookbook for anyone that owns an Instant Pot. 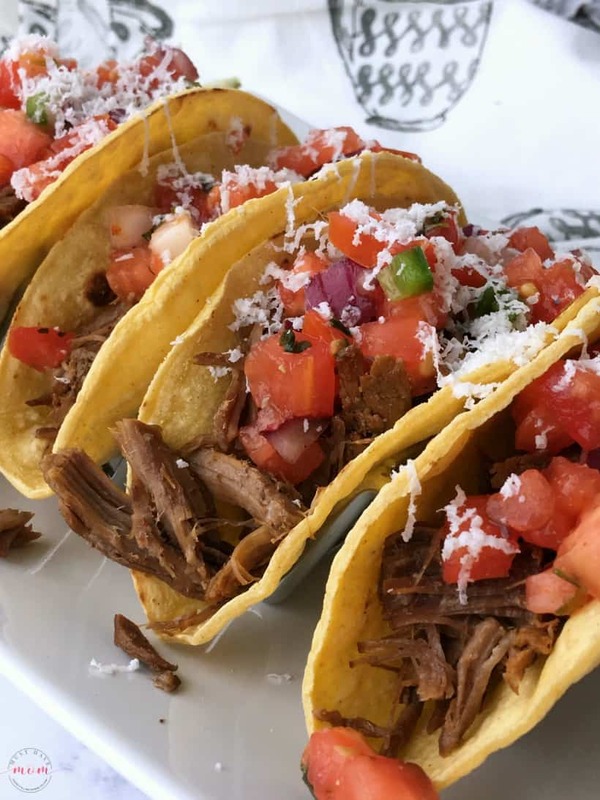 These Instant Pot beef barbacoa tacos are salty, spicy, and slightly tangy, hitting all the perfect notes. The beef is SO tender and easily shreds apart with just 30 minutes of cooking time. It’s amazing. 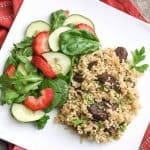 Forget the slow cooker, this dish delivers and in record time! Begin by whisking together vinegar, lime juice, garlic, chipotle chile in adobo, cumin, oregano, salt, pepper and cloves in a medium bowl. Set aside. Next, press Saute and use the saute or adjust button to select the highest temperature (more). Place the vegetable oil in the inner pot and wait until the display reads “Hot” then add the beef. Cook with the lid off, turning the beef every 2 minutes until beef is browned on most sides. This takes about 8 minutes. Add the vinegar sauce and chicken broth, being careful as steam may whoosh up. Add bay leaves and stir to combine. Close and lock the lid. Set the valve to “sealing” and press manual and use the pressure button to to select high pressure. Set the time to 30 minutes using the adjust button or – or + button. When the cooking cycle ends, press cancel. Allow the Instant Pot to cool and naturally release pressure. This ensures the meat doesn’t dry out. Using the quick release method will dry out the meat. It takes about 20 minutes to naturally release the pressure. Remove the lid and then discard the bay leaves. Use tongs to remove the beef and place it on a cutting board. The meat will easily shred apart using two forks or meat shredders. It’s amazing how tender it is and it is SO packed with flavor! 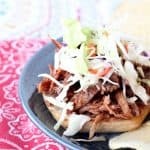 Serve the beef barbacoa piled on pan fried corn tortillas topped with pico de gallo and some Cotija cheese. Don’t forget some lime wedges on the side for squeezing over the tacos. It’s a must! 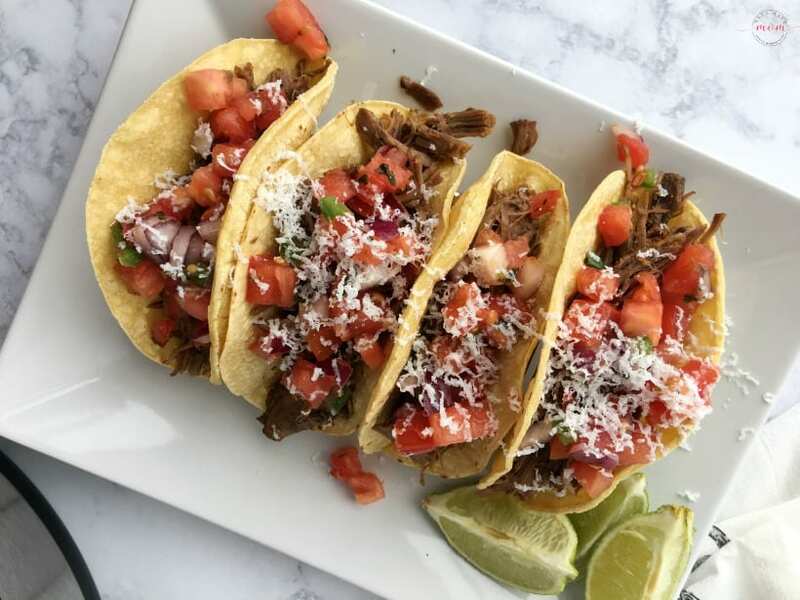 These tacos are out of this world and so flavorful. It’s the perfect weeknight dinner idea because it’s fast and easy. You can also use this recipe to meal prep. It will keep in an airtight container in the fridge for up to 4 days. Store it in its juices for maximum flavor and to keep them juicy and tender. To reheat, preheat the oven to 350 degrees and place the beef in a shallow baking dish with the juices. Cover with foil and bake until hot, about 15 minutes. 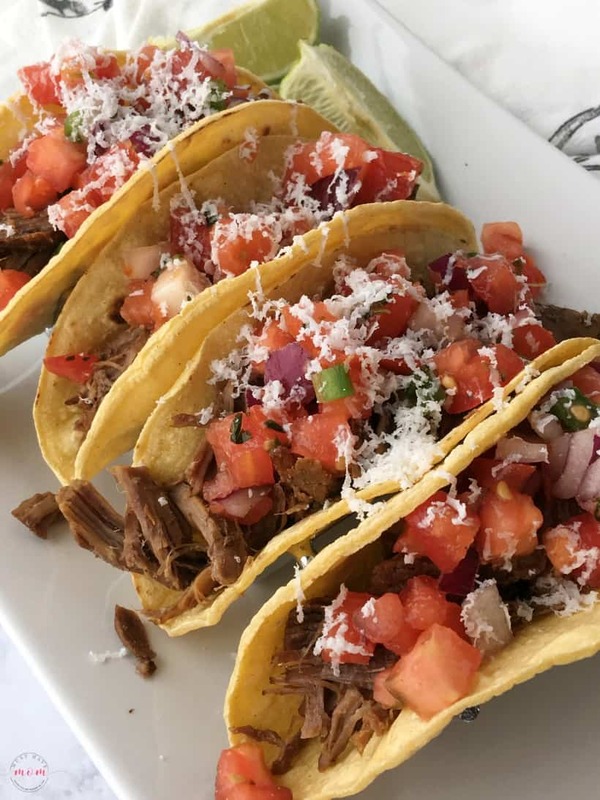 Quick and easy Instant Pot Beef Barbacoa Tacos recipe with incredible flavor and juicy, tender beef! Press Saute and use the Saute or Adjust button to select the highest temperature ("More"). Place the vegetable oil in the inner pot. Wait until the display reads "Hot", about 5 minutes, then add the beef. Cook with the lid off, turning the beef every 2 minutes, until the beef is browned on most sides, about 8 minutes. Add the vinegar sauce and chicken broth (be careful - steam may whoosh up! ), and then the bay leaves. Stir to combine. Close and lock the lid. Set the valve to Sealing. Press Cancel, then press Manual or Pressure Cook and use the Pressure or Pressure Level button to select High Pressure. Use the - or + button to set the time to 30 minutes. Remove the lid, Discard the bay leaves. Use tongs or a large spoon to remove the beef from the inner pot and place it on a cutting board. Shred the beef using two forks. Use one fork to pull off a chunk and then use two forks to shred that piece, holding down the meat with one fork and pulling at it with the other. Repeat with the remaining beef. 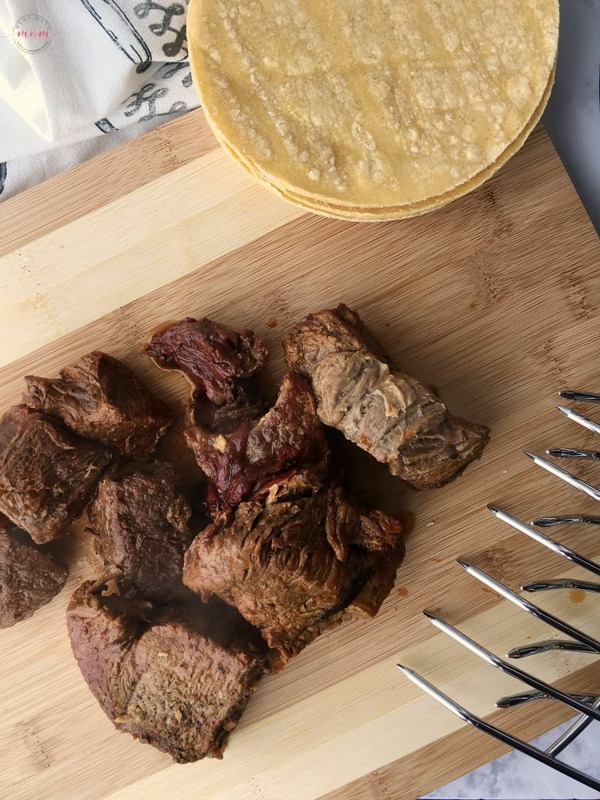 Beef Barbacoa and its juices will keep, in an airtight container in the refrigerator, for up to 4 days. 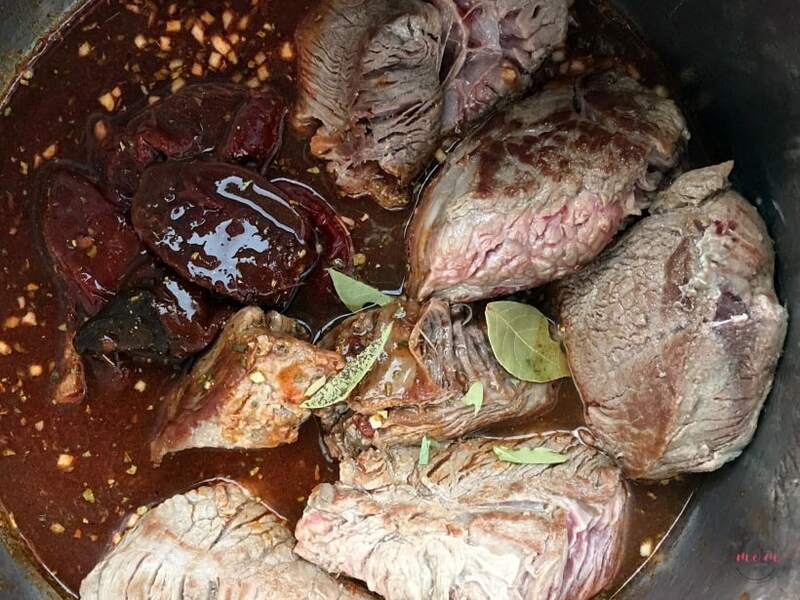 To reheat, preheat the oven to 350 degrees F and place the beef in a shallow baking dish with enough of the juices to reach a depth of about 1/4". Cover the baking dish tightly with aluminum foil and bake until hot, about 15 minutes. *Excerpted from How to Instant Pot by Daniel Shumski (Workman Publishing). Copyright © 2017. 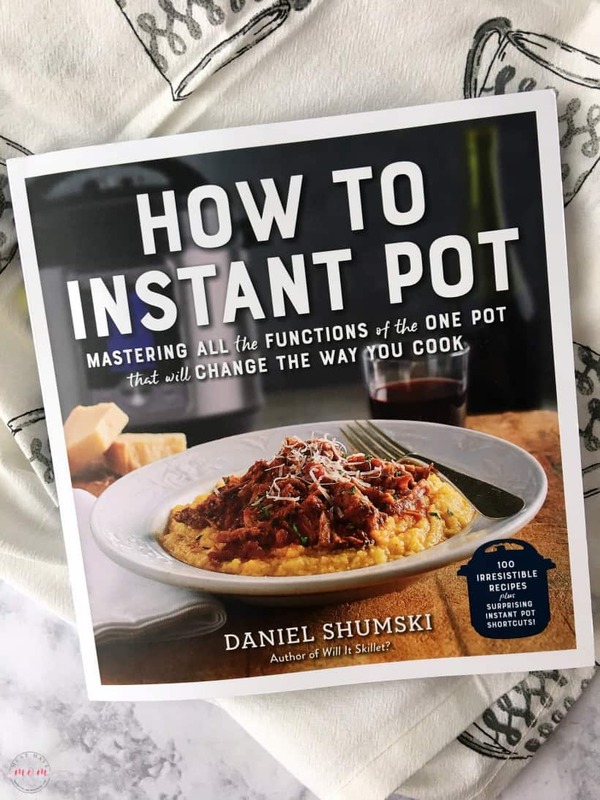 Check out more fabulous recipes from How to Instant Pot from Daniel Shumski. Buy it from Workman publishing, Amazon, Barnes & Noble and others. 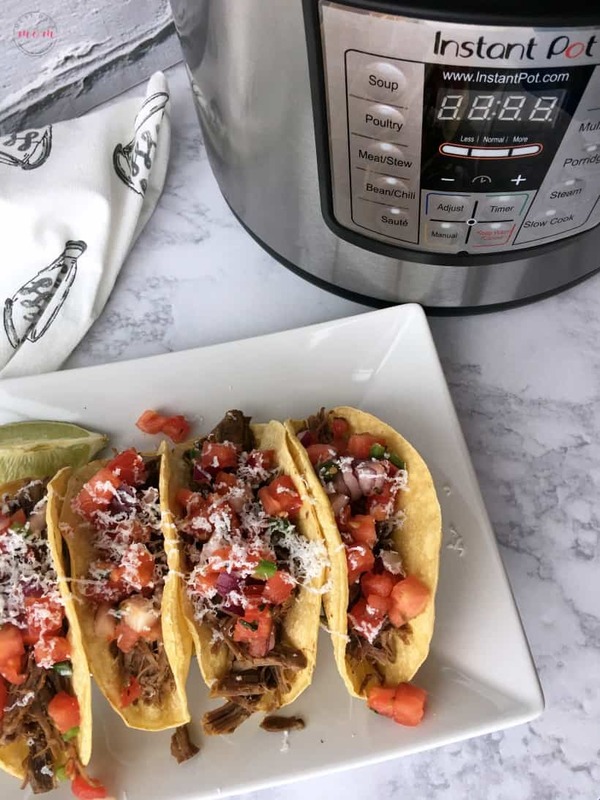 Find More Instant Pot Recipes here! I would love to have this because my friend gave me one of these but honestly I haven’t used it to its potential! I just got an instant pot as a gift. 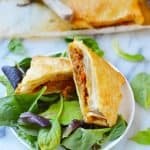 I would love to find some awesome recipes to make. I have an IP but need to learn how to use it. This cookbook sounds like just the ticket. I hope I win! I have to the pot but no cookbook so this would help me create some yummy meals. I’d like it because I need some good ideas on what to make! I would love to win this because I need some new ideas of what to make using my Instant Pot. Oh my. I would look forward to taco Tuesday if I had tacos like this too. Thanks so much for sharing this on Merry Monday. Pinned.